We now know that we wont automatically transfer across from the Child Care Benefit to the new Child Care Subsidy. For this to happen, you must complete a Child Care Subsidy Assessment before 2 July 2018 to continue to received Child Care funding. This post has the instructions to help you do this quickly. Honestly I got it done in about 7 minutes however my husband and I have regular hours so there wasn’t anything we needed to calculate. I updated my information in the Centrelink App, but if you log into your my.Gov.au account you will also be presented with a list of Tasks to complete. 1. 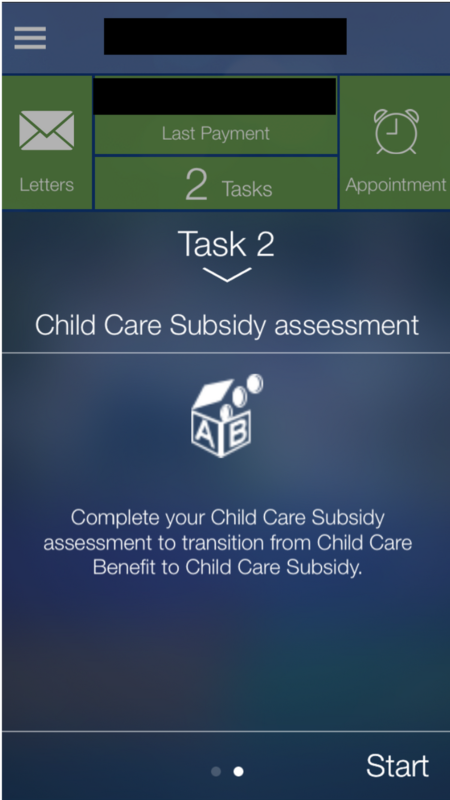 I have two tasks to complete and I press the Task button and swipe to the Child Care Subsidy assessment. 3. 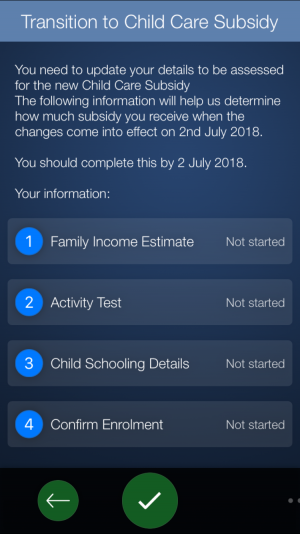 The first task asks for your estimated income in the 2018-19 financial year. 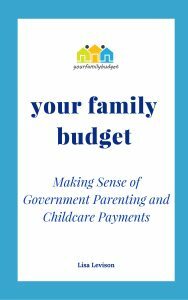 Complete this in the exactly the same way you have done each year that you have accessed the Childcare Benefit. Add together any salary, fringe benefits tax, child support etc. You could estimate this amount, but I would give this some serious consideration if you think that your family could be near the amount of $186,958. Family income over this amount is subject to a cap each year. For the 2018/19 year it has been indexed up to $10,190. 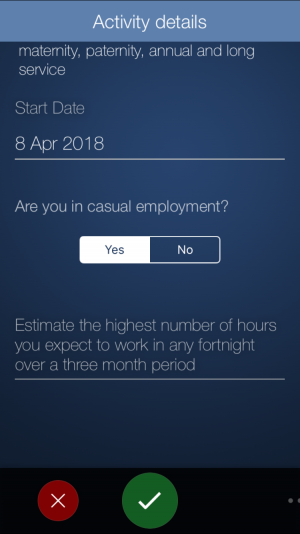 If you are in casual work – and therefore the number of hours you perform a work activity is different each fortnight, you will be asked to estimate the highest number of hours you expect to work in any fortnight over a three month period. This is the part that may take the most time to calculate. I used the current date as a start date. 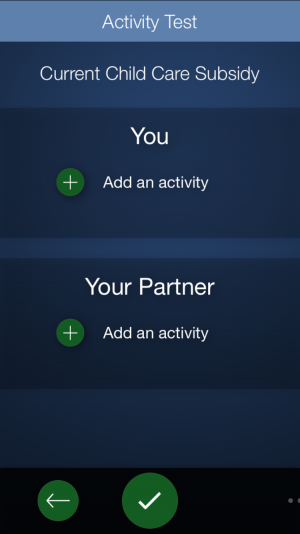 You can add a new Activity Test for each different activity you perform each fortnight. Just use the plus sign at the bottom. 5. Review the school details of each child that you have currently enrolled for Childcare Benefit. If your child is not yet at school then select none. Otherwise select Primary Education is they are enrolled at school. 6. Confirm all your information and you will receive a Claim ID. If you want the easy explanation about all the new changes, I have prepared The Child Care Subsidy Solution. A simple, straight forward FREE ebook that shows you how the new Subsidy works and what you could do to increase your Subsidy. Download your copy by entering your details below.